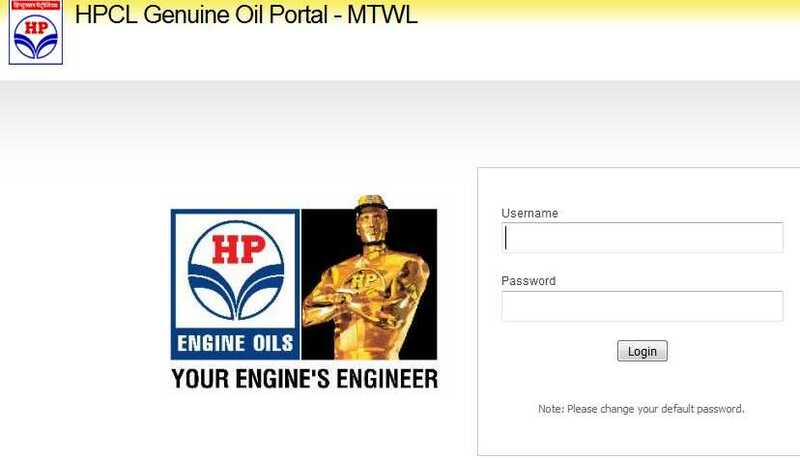 I want to visit the HPCL Genuine Oil Portal of Hindustan Petroleum Corporation Limited, India so tell me the process of it? On this page enter user name and password and then click on login button. The co-branded oil is named as â€˜HP Bajaj DTS-i 10000â€™ and conform to international specifications of API SL and JASO MA2. Recommended for vehicle models Discover DTSi, Platina 125 DTSi, Platina 100 CC and XCD 135 DTSi. Recommended for Avenger 200 DTSi, Pulsar 220 /180 /150 DTSi, Discover 135 DTSi and Kristal DTSi. These cobranded oils have an extended engine oil drain period of 10,000 KM, which in turn increases oneâ€™s savings on time and money. i am unable to login to this website. everytime it says error or invalid username. Which username and password i should write here?